It’s almost end-of-summer blues, but there’s still time to celebrate the blues — blueberries, that is. 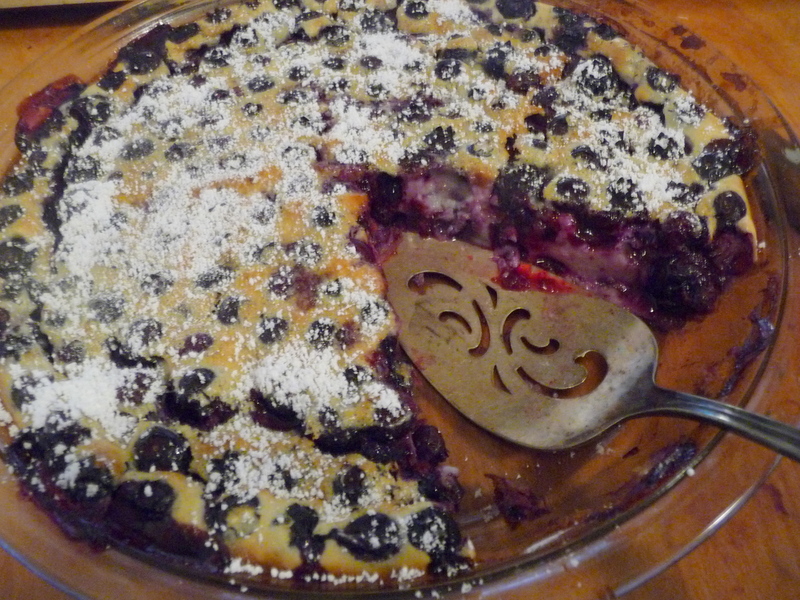 Of course, I’ve already made blueberry jam and blueberry pancakes, but there were some terrific blueberry desserts I wanted to try. Then again, I didn’t want to eat too many desserts. Well, I solved that problem by simply calling these treats breakfast. Sunday breakfast, that is. 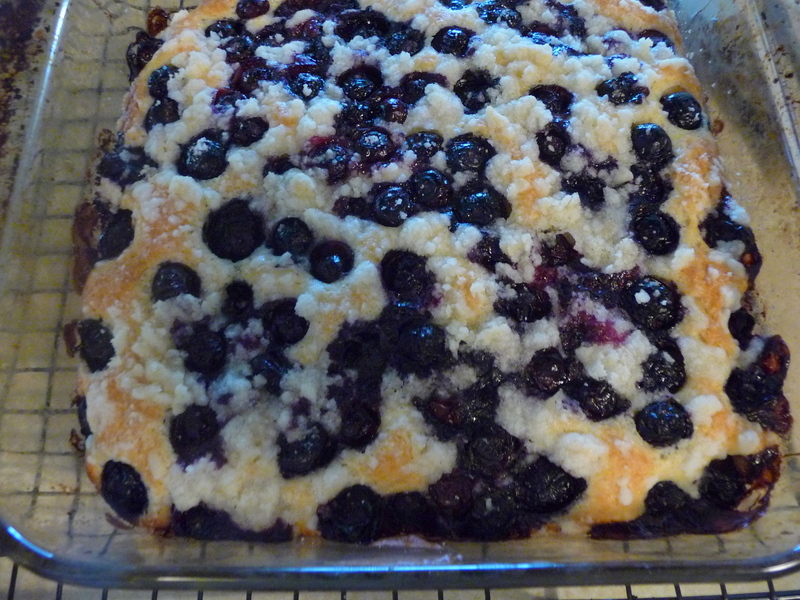 Blueberry Clafoutis adapted from Julia Child’s Mastering the Art of French Cooking. 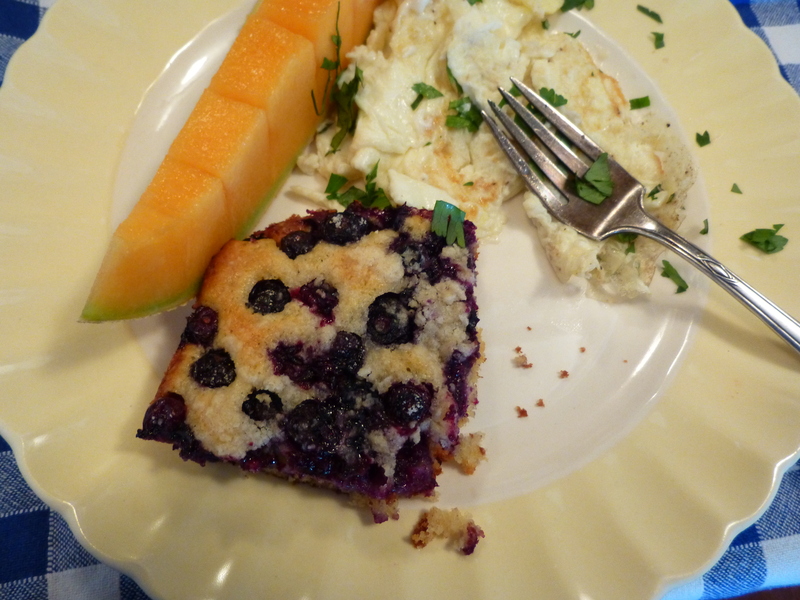 Whisk or blend everything except for the blueberries. Pour ¼ inch of the mixture into a 9-inch pie plate. Place in the oven for 5 or so minutes, or until the bottom has set slightly. 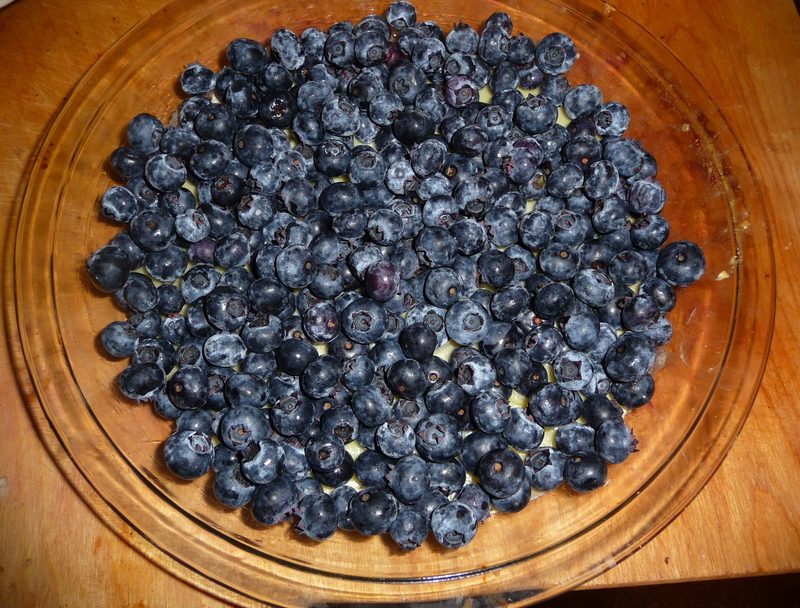 Remove from the oven, spread the blueberries across the dish, and pour over the rest of the batter. Smooth over the top. Place in the middle of the preheated oven and bake for about 50 to 60 minutes or until set. It will puff and brown, and a knife inserted into the middle will come out clean. Let cool slightly and sprinkle the top with powdered sugar before serving. May be served warm or room temperature. 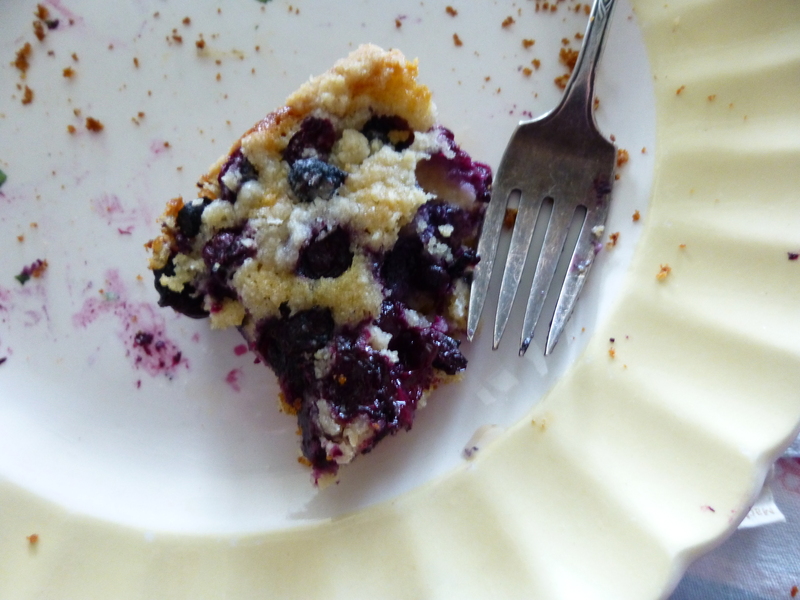 I thought I would stop with the clafoutis (last Sunday’s breakfast) but this Sunday I realized I couldn’t let the whole blueberry season go by without making at least one Blueberry Boy Bait. The name alone makes me want to bake this! I wrote about this wonderful cake (and how it got its name) last year in this blog, so you can find the story and recipe here. Somehow, if you call it coffee cake –and if it’s a Sunday — it seems fine to serve it for breakfast, along with The New York Times!